An expert witness is a witness who, by virtue of specialized knowledge, skill, education, training, and experience, is deemed competent to provide opinion testimony in relation to the matter before the court. When a lawsuit involves an issue that is difficult for most people to understand, it may be beneficial to have an expert witness testify to explain the issue to the court or jury. Expert witnesses do not need first-hand knowledge to testify in a lawsuit, and may share opinions based upon their interpretation of the facts and evidence. Not all experts are formally trained. For example, the owner and manager of a shooting range may be qualified as an expert in relation to certain aspects of firearms, or the proper operation of a shooting range, by virtue of experience alone. Most witnesses testify about facts: What they heard and saw, the order of events, measurements, and the like. Opinion evidence involves interpretation of the facts, with an expert witness sharing a theory of what the facts mean, how the pieces fit together. Opinion evidence is not supposed to take the place of the jury's independent determination, but is intended to help the jury understand the facts and issues presented to it. Presenting the jury with the results of a DNA test, for example, is of little utility unless an expert explains and interprets those results for the jury, explaining what the test results mean and whether or not there is a DNA match. 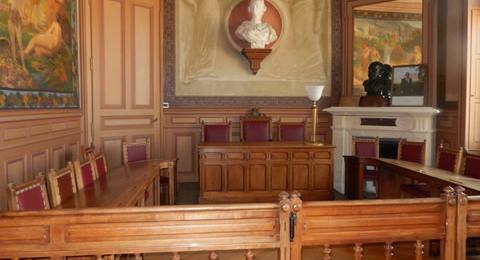 However an expert witness is ordinarily forbidden to testify as to the "ultimate issue" before the jury - that is, an expert might opine that there is a 99.9% match between the defendant's DNA and that of a sample found at a crime scene, but it is up to the jury to decide what weight to assign to that evidence and to determine if the defendant is guilty of the crime. Experts may also answer hypothetical questions. Lawyers may thus use an expert to try to advance a particular theory of a case or to undermine competing theories. For example, if a defendant were to claim that he did not cross the center line of a road to cause an accident, the expert might testify as to the location of damage on the vehicles involved in the accident, as well as the location of skid marks and debris on the roadway after the accident, and present first an opinion as to how the accident occurred, and second an opinion that the defendant's theory was unlikely based upon the evidence at the accident scene. Any witness who is not testifying as an expert is a lay witness (non-expert witness). Normally, a lay witness is expected to testify to the facts of a case, and allow the jury to determine what the facts mean. At times, a lay witness may be permitted to offer opinion testimony within the witness's sphere of knowledge and experience. For example, fact testimony about a car accident might include testimony about the skid marks behind the plaintiff's vehicle, but a qualified expert can analyze the skid marks and testify as to an estimate of the defendant's speed. Lay witnesses may be able to give opinions on matters of common knowledge, if the court finds that the testimony will be helpful and that it is rationally based upon the witness's perceptions. However, a lay witness must have personal knowledge in order to share an opinion, while an expert witness does not. For example, a witness might be permitted to provide testimony that he believed the defendant to have been drunk at the time of the accident, based upon such factors as the defendant's appearance, behavior, and odor, because most people have sufficient experience with alcohol and alcohol intoxication to form an opinion as to whether or not a person is drunk. Historically, before a witness was allowed to provide expert testimony it was often necessary to detail an expert's background to a court, then to formally request that the court recognize the witness as an expert. That formalistic requirement has largely been eliminated, such that a witness does not need to be formally designated as an expert witness by a court before providing opinion testimony. Nonetheless, the parties will still typically introduce evidence of their experts' qualifications in order to try to buttress the expert's credibility with the jury. Also, the opposing party may object to the opinion testimony on the basis of the expert's lack of qualification, in which case the trial judge will nonetheless have to rule on the expert's qualification. Prior to the introduction of opinion testimony, the proponent of that testimony (the party seeking to have it admitted) will have to lay a proper foundation for its admissibility. If the party cannot connect the desired expert testimony with the facts of the case, the judge may exclude the testimony. If the expert's testimony is scientific in nature, part of laying a proper foundation is to establish the validity of the science and scientific method used by the expert to form a particular opinion. Often this determination will be made in advance of trial, so that the parties can anticipate the expert trial that will be admitted at trial, and so as not to delay the trial by holding hearings on the admissibility of the expert testimony after the trial has started.